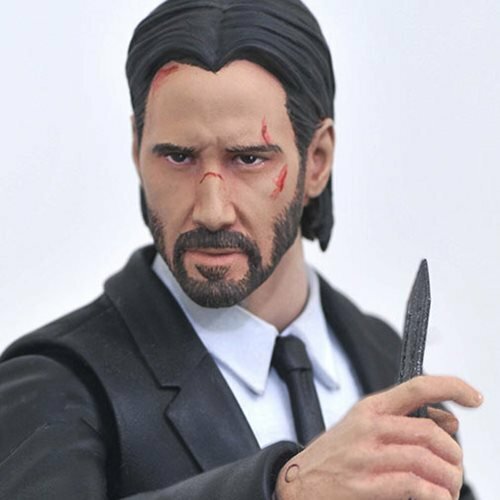 When you have to kill the boogeyman, you buy a John Wick action figure! 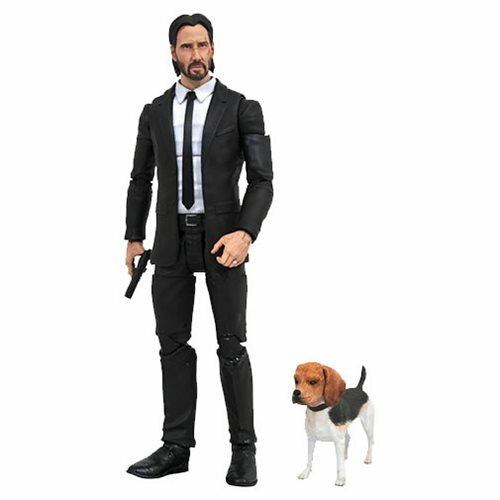 This 7-inch Select-scale action figure captures modern action icon John Wick as he appears in his first film outing, dressed in a suit and with multiple weapon accessories as well as his faithful dog, whose death spurs the action of the movie. 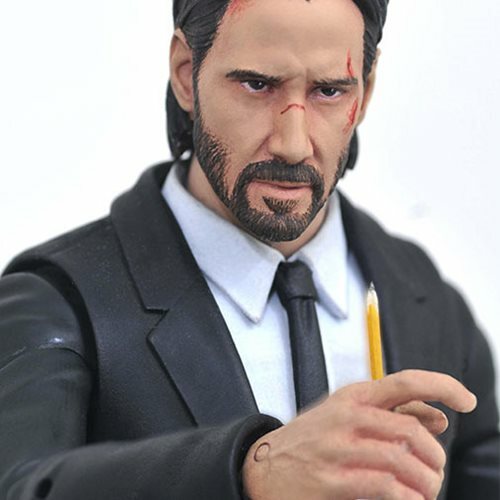 In scale to all other Select action figures, and featuring over 20 points of articulation, this figure comes packaged in display-ready Select action figure packaging with side-panel artwork for shelf reference.